Known as the Macedonian Jerusalem, the city of Ohrid at one time had 365 churches, one for each day. Today the city attracts tourists from all over Europe to enjoy the lake, nearby National Parks and for the faithful to visit some of the holiest sites in the Orthodox religion. Ohrid no longer has a church for every day of the year but the ones remaining contain beautiful examples of old orthodox architecture and art. 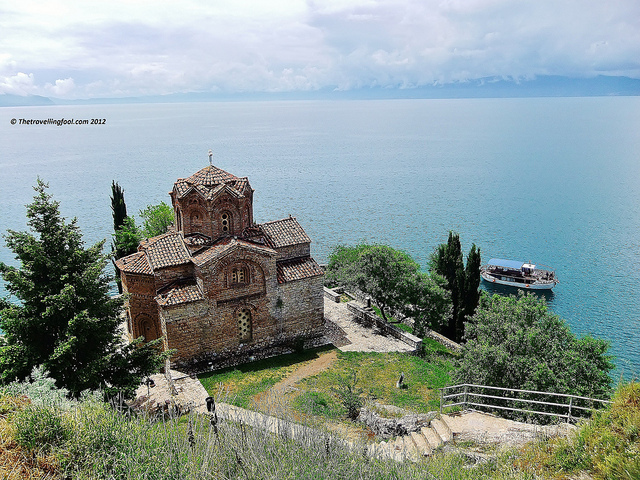 Named as a UNESCO World Heritage Site Ohrid and its Orthodox churches contain frescoes, icons and relics important to the religion and dating back centuries. Built sometime in the 13th Century, St John the Theologian, Kaneo better known simply as St John Kaneo is probably one of the most photographed churches in the world. Perched on a cliff overlooking Lake Ohrid the church was restored in 1964 and ancient frescoes of Christ Pantocrator were discovered in the dome. Numerous paintings and frescoes of Saints including The Virgin Mary and St Clements of Ohrid ordain the inner walls. The Church of St. Sophia is in the middle of the old town of Orhid and dates from somewhere between 852 and 1014. 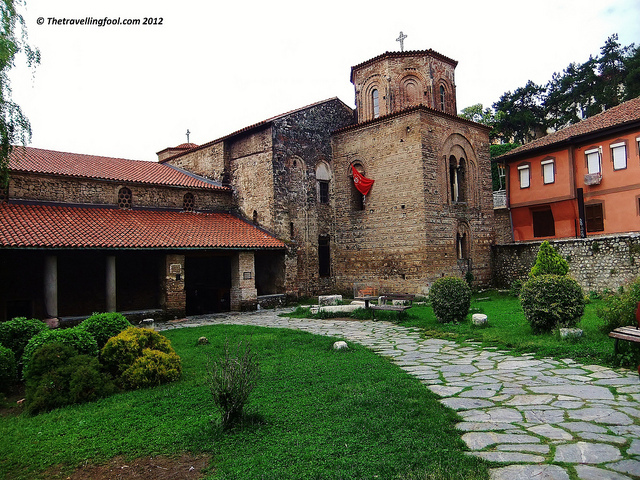 St Sophia is one of the most important monuments in Macedonia due to its architecture and art from The Middle Ages. Frescoes from the 11th, 12th and 13th Centuries ordain the ceilings and walls of the church. Saint Panteleimon is a Monastery founded by Saint Clements. 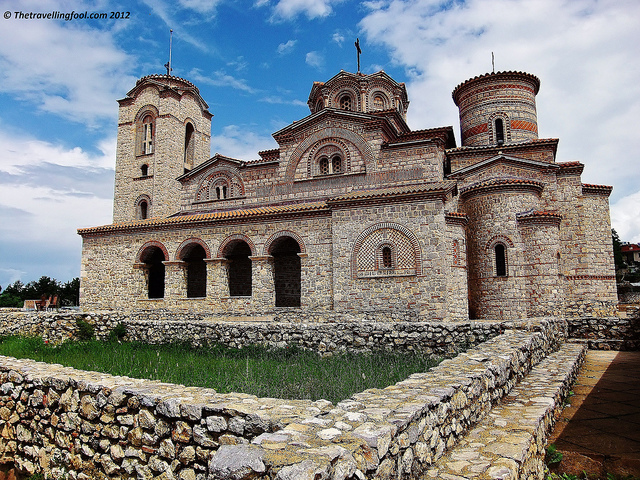 After arriving in Ohrid in 893 St Clements built the monastery on the site of an old church. Not being satisfied with the size of the monastery he built a new one. The main building today is one of many to occupy the original area and is relatively new. Saint Clements along with Saint Naum used the monastery to teach disciples the Cyrillic Script which he invented to translate the bible into the Slavic language. The latest reconstruction started in 2000 and was completed in 2002. 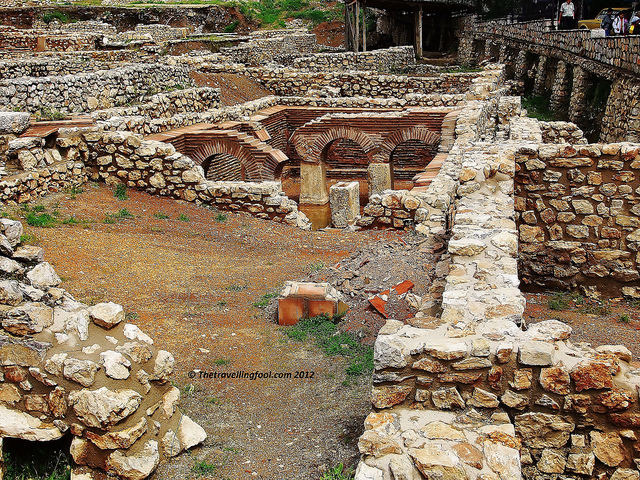 The first excavations of the monastery were carried out in 1943 and in 2007 a collection of over 2300 Venetian coins was discovered by Archeologists which showed that the old city of Ohrid and Venice were connected commercially. The monastery is one of the most sacred churches in Macedonia and draws the faithful by the thousands during Easter and Christmas. Throughout Macedonia and other parts of the Balkans one can visit and experience some of the finest examples of Orthodox churches some dating back centuries. 2 thoughts on "Inside Macedonian Orthodox Churches"